As usual I got bored of my short hairstyle and decided I wanted to have some hair so my bestie/hair stylist and I decided on a middle parting bob weave. I am not sure how long i’ll keep this style for but for now I am happy with the outcome…well until I get bored again. Hey what hair did you use and in what colour? Looks fab! @Anonymous – I used Sensationnel Premium Now – 1b/33 Streak and mixed it with colur 2, to match my highlights as well as my natural hair colour. Love the make-up and the hair. It really suits you. I love this! It's funny because I just got the Premium Now streaked hair, I was wondering what color your highlights in your hair was? I'm trying to achieve this hair in the summer! 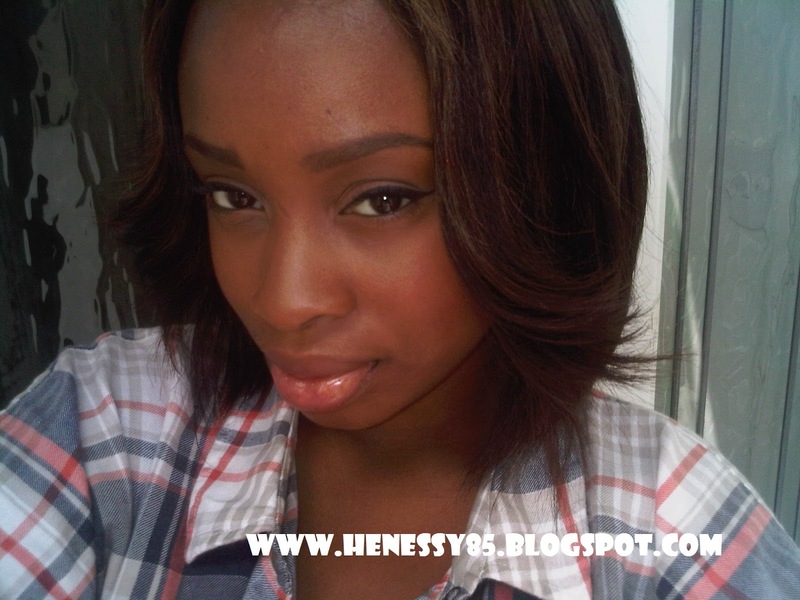 @Zahirahoney – Im not sure what colour was used to highlight my natural hair as the stylist used about 3 different colour. But I used Premium Now colour 1b/33 and colour 2 to match it. The shade and the cut really suits you…the premium brand is very natural looking am sure peeps just think is all yours v nice!